Through the 1940s railroads looked to replace wooden-bodied cabooses with steel. In 1942, the Pennsylvania Railroad built 169 cars in its class N5c. The dimensions are similar to the N5b, featuring a centered cupola. 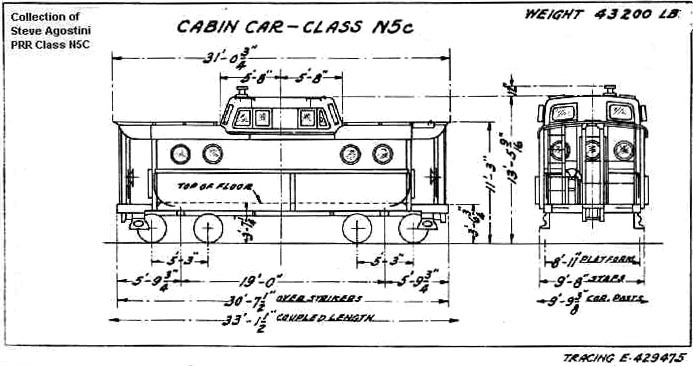 What makes the N5c unique is the “streamlined” angled cupola and the paired porthole windows at the ends. These features made this particular class stand out from the more conventional squared-off designs used on other railroads. These unique cars would go on to serve successors Penn Central and Conrail for many years. The caboose was the home away from home for freight train crews, and is where the conductor would keep his office to complete his paperwork and other duties related to train operation. The brakeman would sit in the cupola to observe the train for defects or other issues. 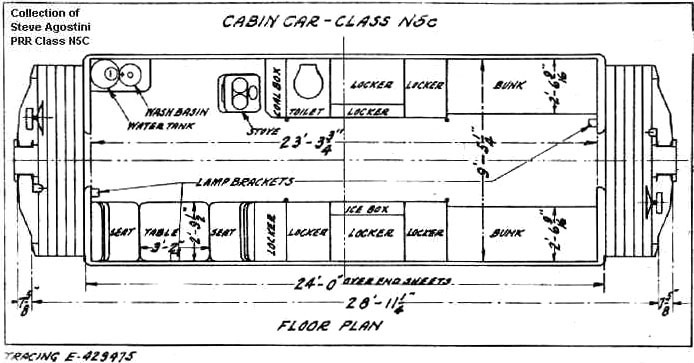 Outfitted with bunks, a stove, an icebox, and a toilet, the caboose had everything the crew would need for an overnight stay. 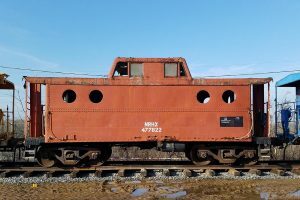 As cabooses were phased out in the 1980s, many were placed in storage awaiting scrapping. Ken McCorry purchased No. 487822 from private individuals who had the car stored in Pocopson, Pa. Since the Pennsylvania Railroad served Rochester, a suitable representative was sought for preservation at our museum. The car was purchased by our museum and prepped for movement by rail by Dave Luca and Janet Dittmer. On September 27, 1998, No. 477822 was delivered to the museum at Industry. 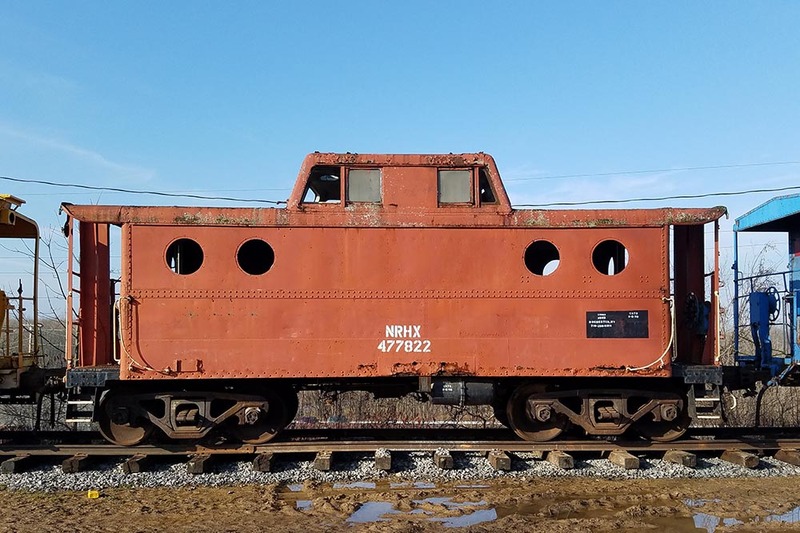 This caboose is the third-oldest surviving N5c. Upon arrival, the roof brackets for the “trainphone” antenna were removed and the holes plugged. The interior was removed and the steel floor was cut out in anticipation of replacement. No further work has taken place, and we are currently putting together a plan for this car’s long-term preservation. This car is currently not on public display, and is being evaluated for restoration. Please contact us if you are interested in getting involved in or funding a project like this!